This collection of writings on photography by one of the most internationally influential writers of the past fifty years has been edited by Geoff Dyer who has also written an introduction to the book. 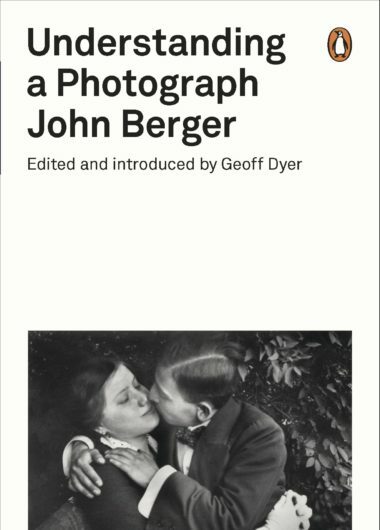 John Berger’s explorations of the relationships between the individual and society, culture and politics, and experience and expression through the written word, films, photographic collaborations, and performances are unmatched in their diversity, ambition, and reach. His television series and book Ways of Seeing revolutionized the way that art is understood. Understanding a Photograph, a collection of writings on photography by one of the most internationally influential writers of the past fifty years, is arranged chronologically, leading the reader on a thought-provoking journey through selected essays from hallmark works such as About Looking and Another Way of Telling, as well as previously uncollected pieces written for exhibitions or catalogues, that discuss a wide range of artists — from Henri Cartier-Bresson to Jitka Hanzlová. This collection of nearly twenty-five pieces has been carefully selected by novelist and essayist Geoff Dyer, who also wrote a critical study of Berger’s oeuvre.